Since the 1990s, there have been seven clinical trials, and considerable clinical experience, in supervised injectable opioid treatment (SIOT) for individuals who, despite previous treatments, continue to inject illicit heroin and experience harmful health and social consequences. Most studies prescribed pharmaceutical heroin (diacetyl morphine, or DAM). 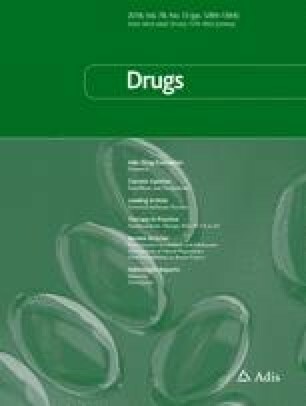 This paper critically reviews randomised trials, long-term follow-up studies and qualitative reports of SIOT, and briefly reviews evidence regarding other medications used in injectable treatment as an alternative to DAM. It seeks to identify critical, unresolved issues regarding this treatment. Randomised trials comparing DAM with oral methadone (OM) report that while in treatment, participants randomised to DAM used less street heroin; reported spending less money on drugs, committed fewer crimes, and experienced improved health. Similar findings pertain to SIOT with hydromorphone. Because of the risks of overdose, diversion, and misuse, all recent trials of injected DAM involved supervised administration. This contributes to treatment being expensive to deliver. There is conflicting evidence regarding societal cost effectiveness, with some studies estimating that the reduction in crime more than compensates for the expense of the treatment. The critical, unresolved issues concerning this modality of treatment relate to the way in which it is approached—either as a medium-term, intensive intervention where other treatment has failed, designed to bring people into conventional opioid agonist treatment (OAT); or an indefinite support aimed at reducing social and personal harm. The former seems in line with the available findings on long-term effectiveness of SIOT and might be more acceptable given its rather moderate cost. This work was completed without external funding. Dr. Bell is employed by Uniting MSIC to develop a clinical trial of SIOT. In the last 5 years he has received research support from Reckittbenckiser, served on an Advisory Board for Indivior, has received speaker fees and support to attend conferences from Indivior. Dr. Belackova is employed by Uniting MSIC in developing a trial of SIOT. Prof. Lintzeris has provided consultancies for Indivior and Mundipharma on unrelated projects.